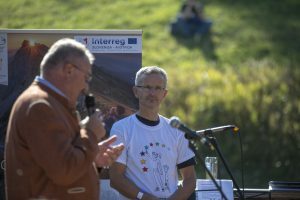 For the seventh consecutive year, last week, events were held throughout Europe in the frame of the European Cooperation Day 2018 (EC Day 2018) under the auspices of the European Commission and the INTERACT programme. The aim was to present the projects and programmes by the Member States that are implemented with funds from the European Regional Development Fund. This year, the events were held under the slogan “Painting our future together”, with which the importance of the achievements of European regions and countries in cross-border cooperation and their impact on shaping a common future should be emphasized. Slovenia and Austria have in the frame of their cooperation already implemented a number of successful cross-border projects, which constitute the identity of the border region. 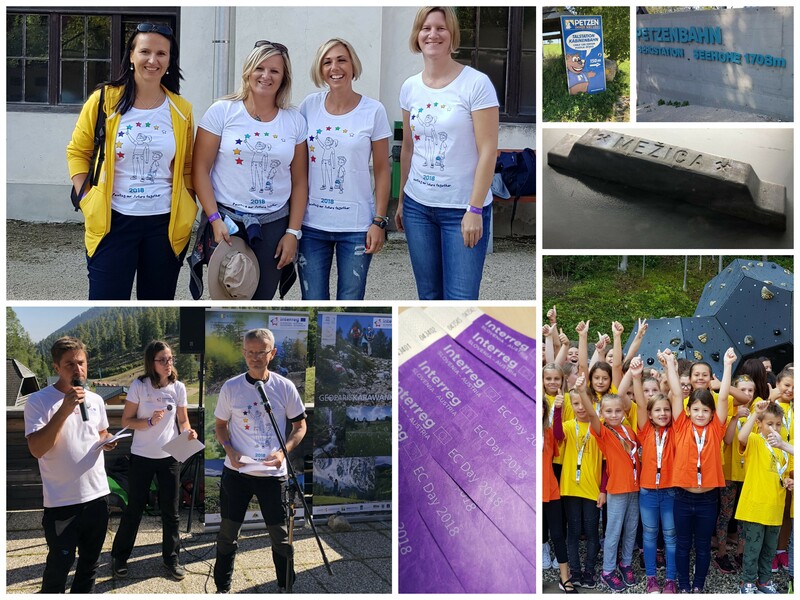 Some of them have been introduced to the participants in the frame of the event »Experiencing the cross-border Geopark« which was, on Friday, 21 September 2018, organized by the cross-border cooperation programme between Slovenia and Austria in the programme period 2014-2020 in cooperation with the programme partner Amt der Kärntner Landesregierung and the project partner Geopark Karavanke/Karawanken in the frame of the EC Day 2018. 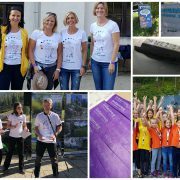 The group of more than 360 participants, who arrived with organized bus transfer from the programme area and their own transport, gathered in Mežica in Slovenia. They were greeted by mag. Nina Seljak, head of the Managing Authority of the programme, and mag. Suzana Fajmut Štrucl, director of the Podzemlje Pece d.o.o., as well as mag. Gerald Hartman, manager of the Geopark Karavanke/Karawanken. 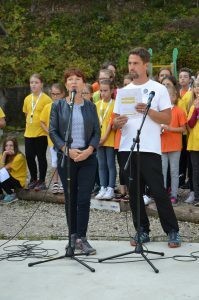 The vocal contribution of the Mežica primary school choir, was followed by the participants’ visit to the underground of the Peca/Petzen mountain – the mine of Mežica – and the presentation of the project EUfutuR, which is co-financed from the European Regional Development Fund in the frame of the Cooperation Programme Interreg V-A Slovenia-Austria. The participants then crossed the border, where they took the cable car up to the Peca/Petzen mountain. After the presentation of the projects NaKult and Nature Game and a short panoramic walk, the participants were greeted and addressed by Austrian and Slovene representatives, namely the 2nd president of the Regional Parliament, mayor Jakob Strauß, and Dimitrij Pur, deputy head of the Managing Authority of the programme. The participants were also greeted by elementary school students from the European School Šmihel/St. Michael, who enriched the lunch with their singing. 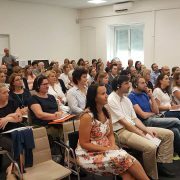 The event ended with socializing in front of the cottage on the Peca/Petzen mountain, and thus represented an exceptional opportunity to exchange experiences, opinions and, of course, to meet representatives of various institutions and the public. 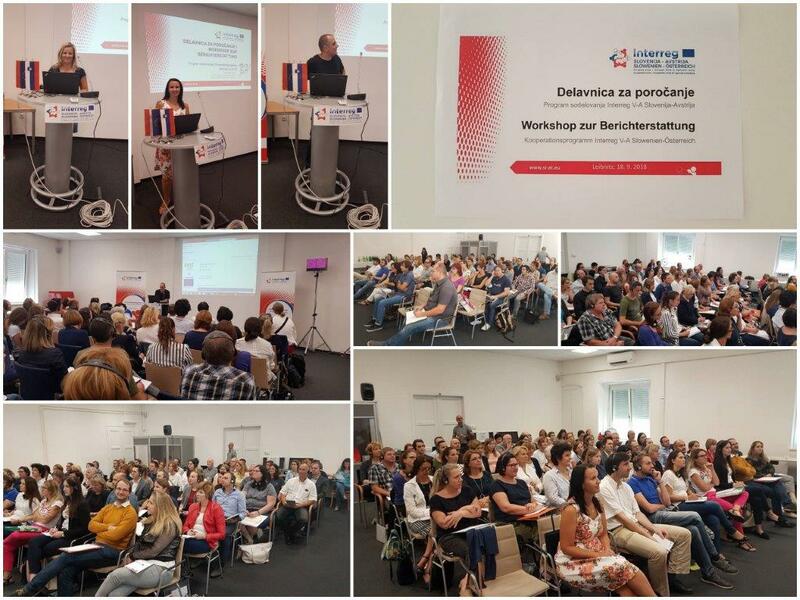 Today, on Wednesday, 19 September 2018, the workshop for potential applicants in the frame of the Open Call took place in Leibnitz, Austria.  In the frame of the workshop, the Joint Secretariat briefly presented the participants the Cooperation Programme, information concerning the Open Call and the analysis of the past three deadlines and summarized the most common administrative mistakes, presented the Rules on the eligibility of expenditure, the requirements concerning information and communication, the annexes to the application form and the electronic Monitoring System (eMS), in which applicants will submit their project applications. 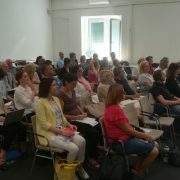 There were a bit less than 50 potential applicants present at the workshop. In the frame of the Open Call, a bit more than 2,3 Mio EUR from the European Regional Development Fund are still available for projects. The fourth deadline for the submission of projects will close on 28 November 2018 at noon. For more information on the workshop for applicants, click here. 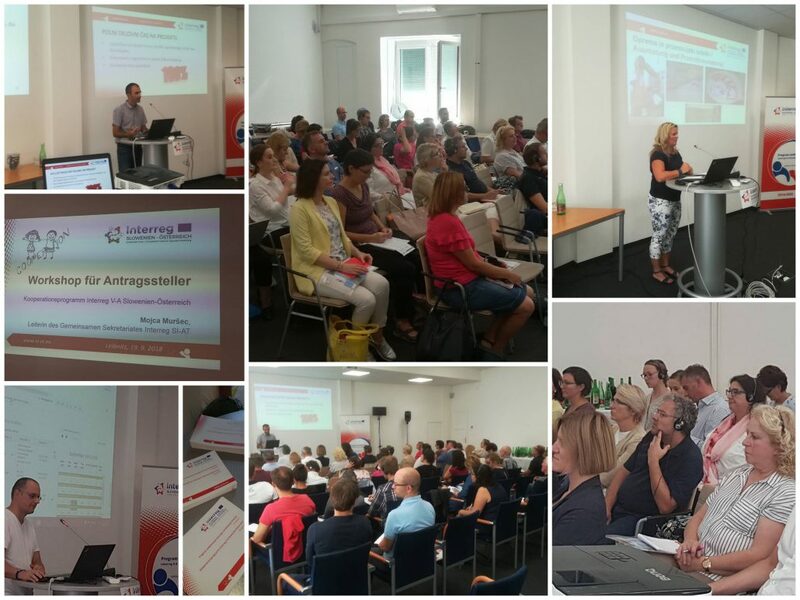 Today, on Tuesday, 18 September 2018 the workshop for reporting was carried out in Leibnitz, Austria, in the frame of the programme. Within the third deadline of the Open Call for project proposals of the Cooperation Programme Interreg V-A Slovenia-Austria, 18 projects were approved for implementation. For the beneficiaries of these projects, the workshop on reporting was held. More than 120 participants attended the workshop, most of them attended the workshop in the role of Lead or Project partner; however, also programme partners from both participating countries were present at the workshop. Almost all representatives of the project partners attended the workshop. For more information on the workshop on reporting, click here.